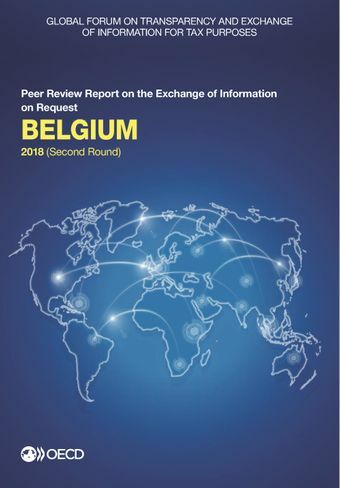 This report contains the 2018 Peer Review Report on the Exchange of Information on Request of Belgium. In its new peer review report, the Global Forum found Belgium to be Largely Compliant with the international standard on transparency and exchange of information upon request over the review period (1 October 2013 to 30 September 2016). This deterioration compared to the previous peer review report – Belgium had been rated Compliant in 2014 – mainly results from an unfinished implementation of the strengthened international standard on beneficial owners and reversals of case law regarding some features of the access powers of the tax administration. These led to legislative changes, the implementation of which should be monitored to ensure full availability and access to information to be exchanged. That said, Belgium remains a country widely open to exchange of information and that provides timely replies and qualitative information to its many partners.